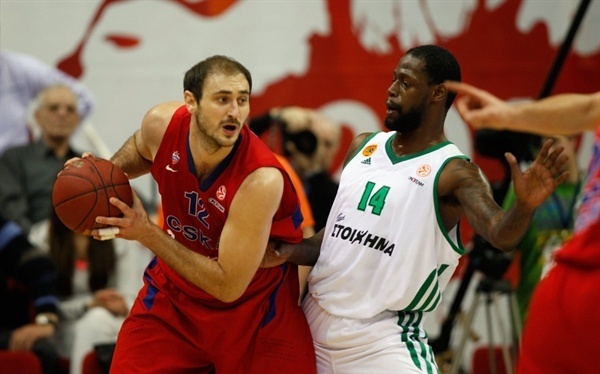 CSKA Moscow used a big third quarter to roll past Panathinaikos Athens 86-69 and get back on the winning track in the Top 16. The victory snapped CSKA’s two-game losing streak as it improved to 5-2 and could move into second place in Group E by the end of the night. 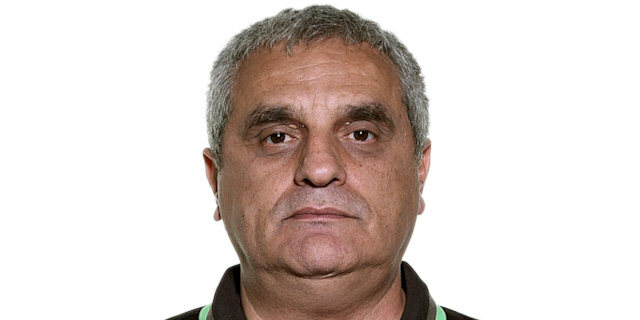 Panathinaikos dropped to 4-3. The hosts took the lead for good after only four minutes, but did not take full control of the game until midway through the third quarter. 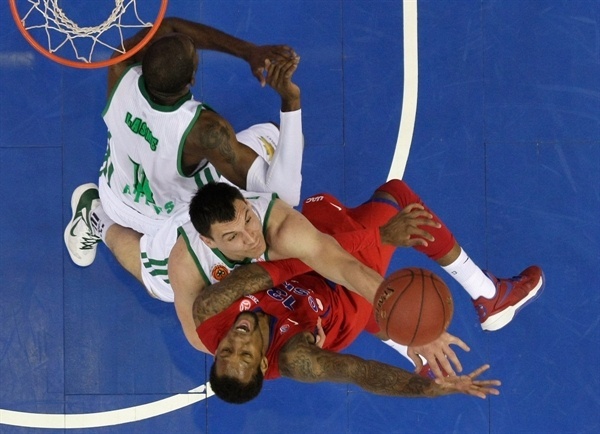 After triples from James Gist and Jason Kapono got Panathinaikos within 39-38, Sonny Weems scored 9 points in a 19-5 run that CSKA used to pull away and never look back. Milos Teodosic made 4 of 6 three-pointers to lead led the way with 20 points plus 7 assists. 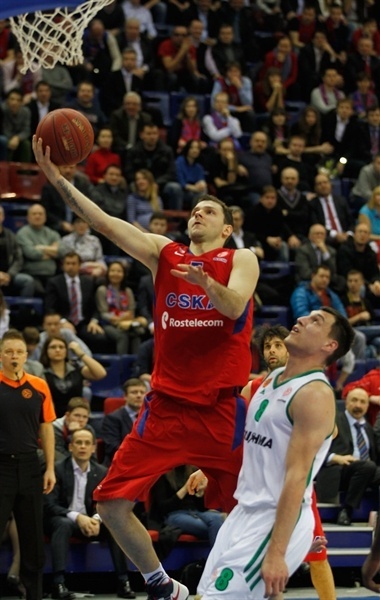 Weems scored 19 points, while Sasha Kaun had 13 points, 8 rebounds and 5 blocks. 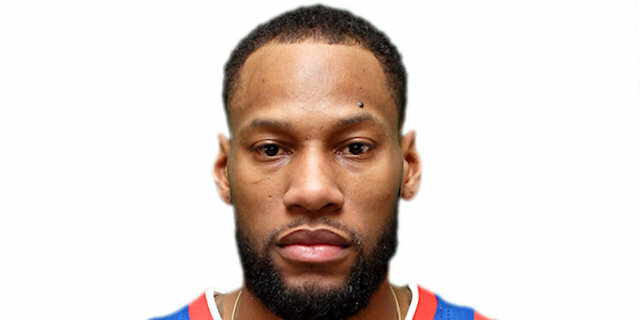 Aaron Jackson scored all 11 of his points in the second half and Vladimir Micov chipped in with 10. Jonas Maciulis had 15 points plus 6 rebounds for the visitors, while Gist collected 12 points plus 10 rebounds. 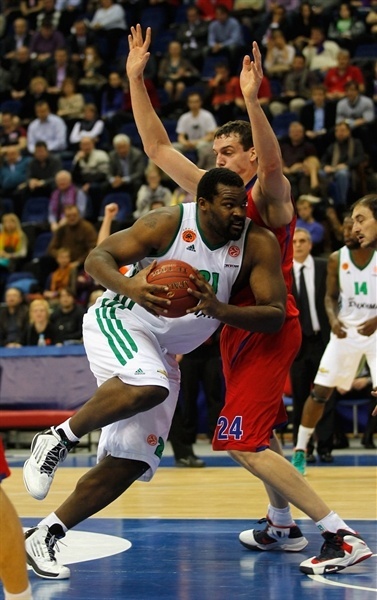 Stephane Lasme also scored 12 while grabbing 8 boards in defeat. With Viktor Khryapa sidelined due to injury, CSKA coach Ettore Messina went with a twin towers approach in his starting lineup, pairing Kaun and Nenad Krstic together and that move would soon bear fruits. Weems started things with a triple, and Maciulis made a put-back on the other end as the offenses got it going early. Panathinaikos took a 5-6 lead behind layups from Roko Ukic and Sofoklis Schortsanidis, but couple of jumpers from Krstic and Micov's basket inside put CSKA back in front. The visitors stayed in touch with more baskets inside from Ukic and Schortsanitis, but Kaun started a 12-3 CSKA run with a pair of dunks off nice passes from Weems, and Teodosic scored 8 points, including a couple of triples, to make it 25-15 at the end of the first quarter. Maciulis sank a three-pointer from the left corner to open the second quarter, before Gist made a driving layup and hit a triple to cut it to 25-23. A jumper and a layup from Krstic were the hosts’ only baskets in the first six minutes of the quarter, but CSKA kept a slim lead with a defensive effort. A jumper from Kapono was the only CSKA allowed during that span. A layup from Weems was the first CSKA field goal scored by a person not named Krstic. 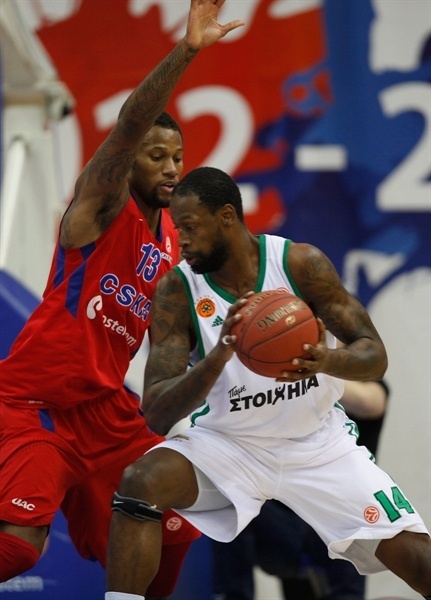 Panathinaikos ended its own drought through Schortsanitis to keep it a 2-point affair. However, Tedosic drove the full length of the floor in the final seconds and beat the buzzer with a jumper that gave the hosts a 35-31 halftime lead. The teams traded baskets at the start of the third quarter, but while Teodosic and Micov scored from close range for the hosts, Gist and Kapono hit back-to-back shots from downtown to make it 39-38. CSKA did not relinquish the lead thanks to quick layups from Weems and Teodosic, and after Micov and Diamantidis traded triples, the hosts went on a 12-2 spurt as Kaun opened the run with a dunk-plus-free throw before Weems hit a triple while stringing together 7 points for 58-43. Lasme made a basket-plus-foul to snap the run, and Maciulis hit a three for the visitors, but CSKA kept the double-digit margin safe with back-to-back triples from Zoran Erceg and Teodosic and entered the fourth quarter up 66-50. Micov made a driving-layup-plus free throw that indicated there would be no slowing down for the hosts. After Marcus Banks and Jackson traded triples, Kaun made an easy dunk and Weems sank a triple on the way to 79-53. Triples from Maciulis and Ukic in a 0-10 run cut the deficit, but after a timeout, Teodosic hit his fourth three-pointer to end any hopes of a possible comeback. Before the end, Jackson added another triple of his own, while Maciulis had a jumper and a fastbreak dunk to round out the scoring. "I am happy for my team. After the losses to Unicaja and Real Madrid, we played a really good game. I congratulate all my players, not only those who were on the court tonight, because we had an excellent week of practices, probably the best week so far this season. And we want to build on it, to continue working as hard. Sasha Kaun was like Bill Russell under the basket tonight. He had 10 deflections, and this is not counting his 5 blocked shots. We hope that Viktor Khryapa will join the team for practices next Tuesday and he will have time to prepare for the next Euroleague game, which will be played on Friday." "Our team did not show concentration nor energy tonight, which is problematic against a high-level team like CSKA. We played bad in the first and third quarters, especially defensively. We played four important games recently; we won the Greek Cup, so it was probably logical to relax. But we should not use it as an excuse. We should use this loss as a lesson." "It was a good game. Especially on defense – we played it like a team, all together. 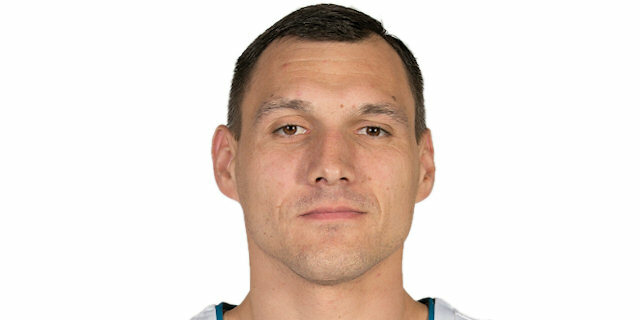 Sasha Kaun did a great job. He was everywhere, especially on blocked shots, rebounds and defense. We looked crazy a little bit just two days ago. But today we had a really nice opportunity to become more confident, because that’s very important for all of us. It’s a part of basketball." "We had a tough game today. In the beginning we played good defense, forced CSKA to take some bad shots. But in the second half we broke down, our defense didn’t work. At the same time CSKA scored easy points. 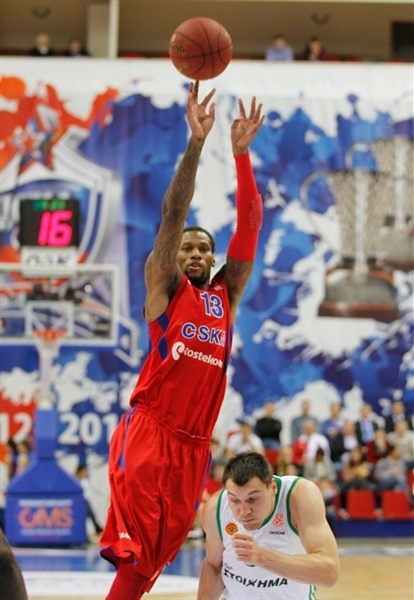 CSKA kept its level and controlled the game, it’s a high-level team with a good coach."